We welcome donations from members of the public who want to help us maintain our community garden. You may choose to do this by buying plants and produce directly from the garden or from one of the stalls we hold at local events in Hackney, or by setting up regular bank payments. through Localgiving: they help local charities and community groups to connect with people, fundraise online and take control of their future. You can get there from every page of our website via the Make a Donation button. 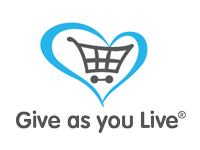 through Give as you Live: when you shop at over 4,000 top stores including Expedia and John Lewis via Give as you Live, they’ll turn a percentage of your spend into free funds for us. Sign up, find the retailer and start shopping. through Amazon Smile: Amazon donates 0.5% of the net purchase price (excluding VAT, returns and shipping fees) of eligible purchases to the charitable organisation of your choice. St Mary’s Secret Garden provides companies with a unique opportunity to invest time and resources in the local community, ethically support local disabled and disadvantaged people and make a visible contribution to a greener environment. The time and money you spend with us make a huge difference to our work and enable us to provide a professional service and maintain a beautiful garden for everyone. If this would interest your organisation, please download our Corporate Group Volunteering Interest Form. You may return the completed form by post or email to info@stmarysgarden.org.uk. Your company can donate to help us in our work. Deutsche Bank provided us with a polytunnel and the work force to erect it. How about getting your team to help out in our garden with a specific project? Costs are £30-£35 a person per day depending on raw material costs. The work done can be tailored to meet your corporate requirements. Sessions can be quite challenging and can encourage lateral thinking and problem solving. Great garden clearouts – suitable for large teams who don’t mind getting grubby! Sponsoring one of the areas of our garden will help to cover vital maintenance and administrative costs. All sponsors will receive a plaque in the garden and / or publicity via our website. £100 p.a. will provide much needed seeds, new plants and support general maintenance. £50 p.a. will provide much needed seeds and support general maintenance. £25 p.a. will provide general maintenance including protective painting. Annual adoption contributions start at £250 for materials, including trays and modules, heating, maintenance of glass panes and cleaning. Adoption contributions start at £50 p.a. and will enable our local community to get the most out of the garden. employ us to look after your indoor or outdoor planting schemes. Contact us for more details and to discuss your needs.